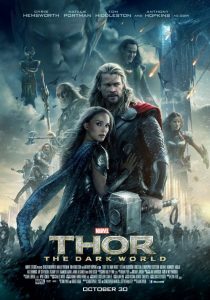 This weekend, the top film at the box office was again “Thor: The Dark World,” which earned $38 million (and $147 million to date). However, Christmas-themed dramedy “The Best Man Holiday” opened in second place. Despite being a sequel to a 15-year-old movie (“The Best Man”), “Holiday” pulled in $31 million, well above what initial estimates were (Box Office Mojo projected $24 million), and almost twice what it cost to produce the film ($17 million). Meanwhile, “Free Birds,” the only animated film left in the top 10, dropped to fourth place with a box office take of $8.3 million, for a total take so far of $42 million. “Birds” has one more weekend domestically to try to make back its $55 million cost, which seems a long shot; Disney’s “Frozen” opens the following Thanksgiving weekend. The main hope for “Birds” at this point is whatever it’ll make overseas, though its foreign box office is hard to guess (being about a US-centric holiday).